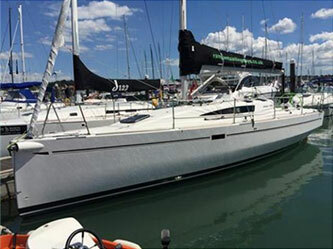 Cowes Yacht Agency is an independent yacht brokerage at the forefront of the Isle of Wight’s diverse and world-renowned boat market. Established in 2016, we are a modern and forward thinking brokerage, who collectively boast over 40 years experience in boat and marine sales. With our unparalleled knowledge and experience we recognized what is required to ensure happy transaction and many years of fun-filled ownership. At Cowes Yacht Agency we pride ourselves on the values of knowledge, passion and professionalism. We believe in going that extra mile in all our business activities and we strive to meet the needs of all our clients. With every transaction, we maintain equal respect for buyer, seller and yacht. Our aim is to match owners with boats and ensure a deal that is beneficial to all. We provide professional help and advice from initial enquiry to purchase. Whether you are looking to fulfill a long-standing dream or just to get the family on the water, whether you need a racing thoroughbred, a historic artifact or a comfortable cruiser we look forward to giving you all the help required in achieving your goal.